Pygmy seahorses, coral reefs and us; making the connection for a more sustainable future. 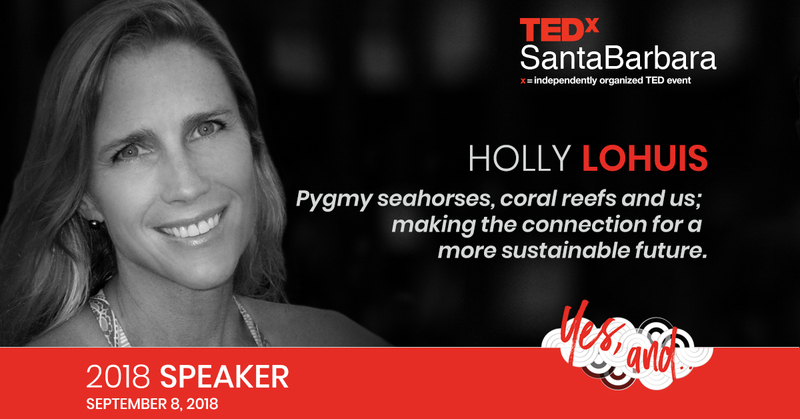 Holly is a marine biologist and ocean explorer and has appeared in Jean-Michel Cousteau’s documentaries over the past two decades, including co star of the IMAX film, ‘Secret Ocean 3D’. She is a featured diver and on camera biologist for 11 hours of the PBS series, “Jean-Michel Cousteau Ocean Adventures.” Her degree is in aquatic biology from UC Santa Barbara and she is a PADI Dive Master and SCUBA Instructor. As a member of Jean-Michel Cousteau’s expedition team since 1996, Holly acts as a liaison between the team and scientists, confirming the factual accuracy of Ocean Futures Society’s documentaries and publications. Holly has also been a marine educator for over 27 years. For ten years she worked as a naturalist with Island Packers, Channel Islands National Park boat concessionaire. She also worked with Passage Productions-Live Dive program on cruise ships in the Caribbean, Pacific, Indian Ocean and Mediterranean Sea. For her educational outreach efforts Holly was honored with the Hall of Fame award from San Juan School district in her hometown Sacramento, California.